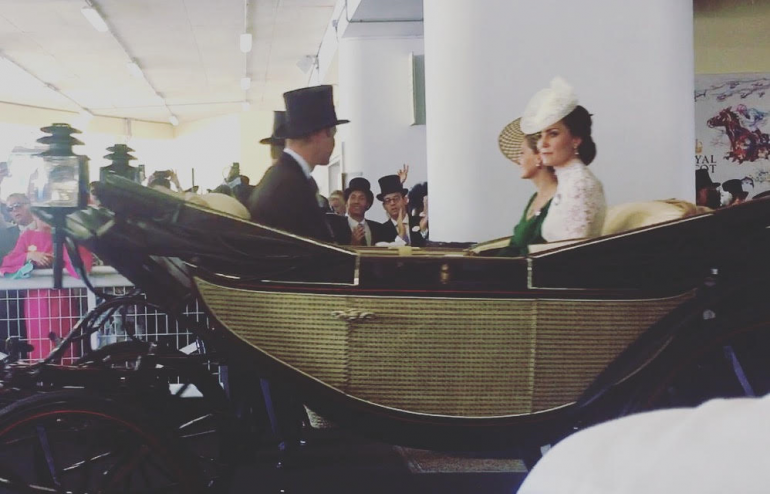 Crowds gathered for the opening day of Royal Ascot 2017 yesterday, which saw HM The Queen joined by the Duke and Duchess of Cambridge, as well as a number of other members of the Royal family. There was an afternoon of excellent racing and the fashion stakes were also high, with many head-turning outfits on show. HM The Queen opted for a striking lime green hat and outfit. Meanwhile, the Duchess of Cambridge wore a bespoke Alexander McQueen cream dress with lace detailing and a matching headpiece. Her mother, Carole Middleton, chose a baby blue dress and Zara Tindell also went for blue, but in a royal shade. The carparks were busy with those picnicking prior to the gates opening and champagne corks could be heard popping throughout the morning. 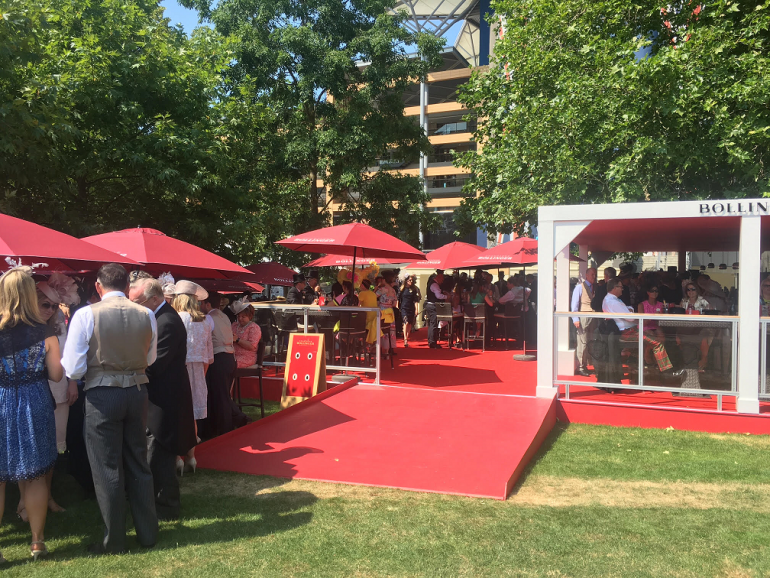 Once inside the racecourse, guests gathered to watch the arrival of HM The Queen, which is one of the traditional highlights at Royal Ascot. Race-goers then crowded around a host of bars to enjoy glasses of Bollinger champagne before the first race. Ice cold Pimms was also a popular choice in the oppressive heat. On the track, Godolphin celebrated an opening-day treble with Barney Roy winning the St James’s Palace Stakes, Ribchester taking the Queen Anne Stakes and Sound And Silence finishing ahead of the pack in the Windsor Castle Stakes. 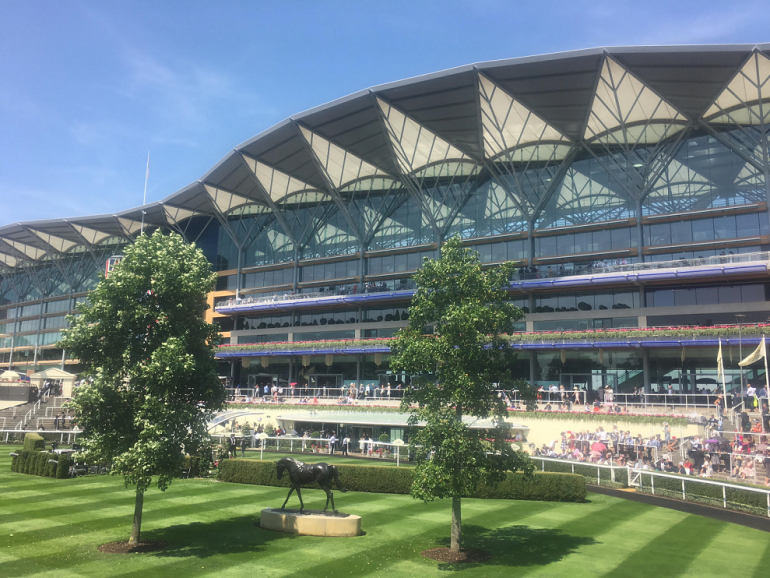 For everything you need to know about Royal Ascot, head over to Sloaney Season, which provides the ultimate guide to the British Summer Social Season, including a comprehensive guide about Royal Ascot 2017.